"Biomedical technologies and their promises improve the survival rate and life quality of diseased and disabled." Biomedical technologies benefit the lives of people in numerous ways. With the use of such technologies, people can lead their lives much healthier and be more productive. Many people who previously may have been chronically ill, disabled, or suffering chronic pain can now look forward to leading normal or close–to–normal lives. Thanks to the technology, people around the globe are living longer and are less likely to succumb to many of the scourges of the past. Biomedical technology made "Diabetes self testing" reachable Victims of many diseases live fuller, better lives due to improved methods of treatment. In the case of diabetes (a disease which is becoming increasingly common, and which places a substantial burden on health systems), patients now have access to very accurate blood glucose monitoring technologies. With this technological advancement, people can monitor their blood glucose levels on a daily basis and have control over their condition much more effectively, sharply reducing the risk of suffering the common but debilitating complications of diabetes, such as blindness and peripheral nerve damage. Similarly, in the treatment of cardiovascular disease, Implantable Cardiac Defibrillator or ICD is a small device implanted for those at risk of sudden cardiac death. Patients now have a 98% chance of surviving a cardiac arrest, compared with only 5% without the implantable device. 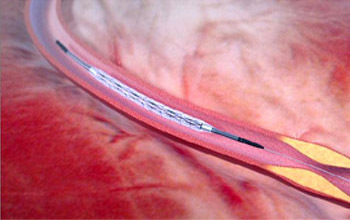 The use of coronary stents (artificial tubes used in cases of coronary heart disease to keep the arteries open) have halved the number of those dying from heart attacks or suffering heart failure. Today there is fusion in almost every field. The integration is not just limited to arts, but sciences as well. No one would have imagined that one day engineering and technology principles would be applied in the area of biological systems; especially so in the areas of medicine and health procedures. Better diagnostics mean that many illnesses are identified sooner, and with this improved diagnosis comes a better prognosis for treatment and recovery. When we say biomedical technology, we are not only referring it to as a field of study, but also the various technologies associated with it. To put it simply, biomedical engineering and bio technology combined make up the biomedical technology. Research in the biomedical sciences has generated a wealth of new discoveries that are improving our health, extending our lives and raising our standard of living. It is much harder to summarize the quality of life which biomedical technologies has been providing in a single statistic, but the benefits are real and extremely important to the victims of disease and their families. Biomedical engineering intersects engineering principles with the medical field. Biomedical technology broadly refers to the application of engineering and technology principles to the domain of living or biological systems. Today&apos;s complex biomedical equipment is the result of advances in three different areas of engineering and scientific research. The first is medicine&apos;s ever–increasing knowledge of the human body and of the disease processes that afflict it. The second is the field of instrumentation – the design and building of precision measuring devices. The third area is mechanization and automation. Biomedical equipment often relies on mechanisms, such as pumps, motors, bellows, control arms, and so forth. Biomedical engineering is a fusion of two diverse fields: medicine and engineering. The tools of engineering are applied in studying various biological forms to repair and understand their workings. The main aim is to improve the health of people. The scientists working in this field are known as biomedical engineers who constantly work to create superior health products. They also try to modify and control biological systems so that they can replace, augment, or sustain chemical and mechanical processes. Biomedical engineering encompasses a variety of fields such as bioinformatics, biomechanics, image processing, medical imaging, biomaterials, systems analysis etc. Gel electrophoresis is one of the most important biotechnological experiments, which run on electronic engineering principles. Biotechnology is the science of working with living cells and their molecules to produce varied products for the benefit of mankind. Biotechnology thus can also be defined as the manipulation of organisms to do practical things and to provide useful products. 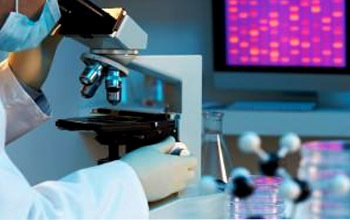 Biotechnology has been used since centuries; however recent developments have made the field exciting. During the earlier eras, biotechnology was used to bake bread, brew alcoholic beverages, and breed food crops or domestic animals. The discovery that DNA stores genetic information was an important breakthrough that led to rapid development of Biotechnology. The pioneers of DNA research were James D. Watson and Francis Crick Maurice Wilkins who jointly received the Nobel Prize for their determination of the structure of DNA. 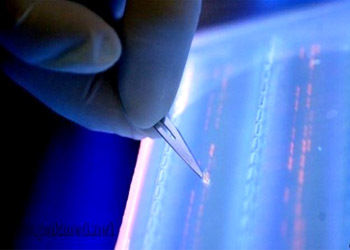 You can find more information in the detailed article on “Biotechnology” on our site. 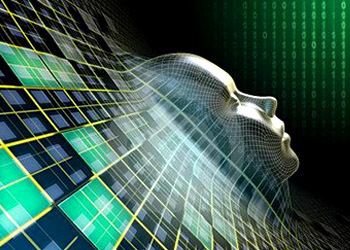 Artificial intelligence, the study and design of intelligent computing systems, relies on principles of biomedical informatics. 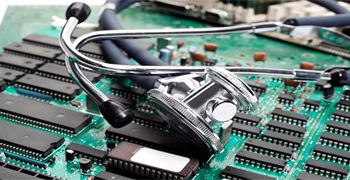 It is a combination of information technology processes with medicine. Bioinformatics basically means a detailed study of a subject using host of tools and techniques from applied mathematics, statistics, computer science, artificial intelligence etc. So when we say biomedical informatics we are studying medical applications, medicine and health in particular i.e., applying bioinformatics for improving health and studying health in detail. Bioinformatics is applied in gene finding, genome assembly, prediction of gene expression and protein–protein interactions, and the modeling of evolution. Ultrasound – An example of engineering and medical sciences working together Biomedical research and engineering involves acoustics and optics, signal and image analysis having applications in diagnostic and therapeutic medical applications of ultrasound and light. Every year, professionals in the Biomedical engineering industry are finding new and improved ways to treat conditions that limit a patient&apos;s quality of life. There is much speculation about where the future of biomedical engineering is headed, complete with robotic nanobots, genetic sequencing, and cellular scanning devices. As modern technology progresses, the ability of the medical sciences to provide effective solutions for health issues will only increase. Thus, the goals of biomedical engineering include the improvement of health and life quality of mankind. Cloning will change the world drastically in the coming years Everywhere we turn it seems that biomedical science and biotechnology are making wonders, manipulate and transform our lives. Cloning has been heralded as one of the most important biomedical technologies. Cloning is basically a process of creating a replica of an original organism. Even though there are moral and ethical issues attached to cloning, there are many benefits that mankind can reap. Cloning has allowed scientists to develop powerful new drugs and to produce insulin and useful bacteria in the lab. It also allows researchers to track the origins of biological weapons, catch criminals and free innocent people, and produce new plants and livestock to feed an undernourished world population. The cloning process involves duplication of a cell that is genetically same. Cloning is performed by a technique known as Somatic Cell Nuclear Transfer(SCNT). In SCNT technique only the nucleus of a somatic cell is transferred, the rest portion of the cell is not used. This is inserted into egg cell whose nucleus was already removed. Now what exactly happens is that the egg cell behaves according to the new nucleus that it has received. Then the egg starts to divide till it forms a blastocyst (an early stage embryo). This then becomes the full fledged organism that resembles the original organism from which it has been taken. SCNT can also be used in embryonic stem cell research or in regenerative medicine where it is sometimes referred to "therapeutic cloning." 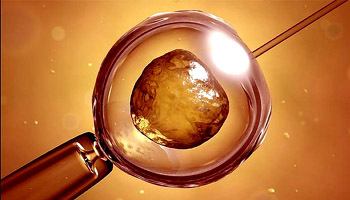 It can also be used as the first step in the process of reproductive cloning. Cryonics Technology of preserving human bodies with the hope of reviving them is still in its infancy. Cryonics is going to be a frontier that needs to be crossed by mankind. The concept is preserving dead people or organisms hoping that future medicine can revive them. Cryonics at present is not acceptable to many scientists and doctors. However, there are many who believe that technologies such as Molecular Nanotechnology and Nanomedicine will be able to repair and regenerate damaged tissues and organs in the future. Though it looks little far fetched at this point in time, there is every chance that with advancements in biomedical technologies, such a thing would be conceivable in future. Disease and aging are also assumed to be reversible. 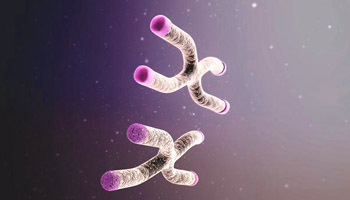 Anti–aging secrets of telomeres are linked to eating less fat, more fruit and vegetables. Another biomedical technology is ‘life extension’. It means increasing the average age of human beings. The traditional methods of life extension are good diet, exercise, sound sleep etc. However, life is uncertain and a healthy person can face accidents and other such calamities. Due to such calamities, organs can be damaged and thus reducing the maximum age that the person can live. Modern methods of replacement of damaged tissues by molecular repair offers hope in extending life. Artificial limbs, molecular rejuvenation through stem cell transplantation, organ replacement will help extend age of the person. 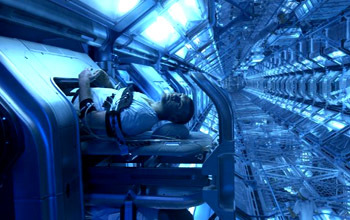 Scientists believe that cryonics of future can repair the body to its original state and restore the life of the person. 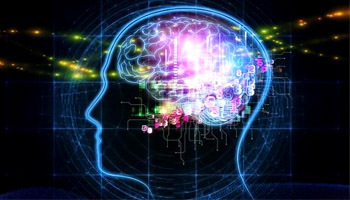 Examples of concrete applications of biomedical engineering are the development and manufacture of biocompatible prosthesis, medical devices, diagnostic devices and imaging equipment such as MRIs and EEGs, and pharmaceutical drugs. Biomedical breakthroughs Some recent bio–medical innovations seem so futuristic that some would call them miracles. The news that comes out of research universities and hospitals often sounds too hopeful to diseased and disabled people and to their families. Biomedical engineers have been responsible for dozens of important breakthroughs over the last few decades. Some recent bio–medical innovations seem so futuristic that some would call them miracles. From paralyzed patients controlling robotic arms to researchers who grow new body parts, the medical world is fast changing. In the past five years, the number of new inventions in medical information technology has tripled. The earliest breakthroughs in biomedical engineering still now, which we have been using are – X&dash;ray machines and electrocardiographs – stretch back more than a century, and prostheses have been known for millennium. 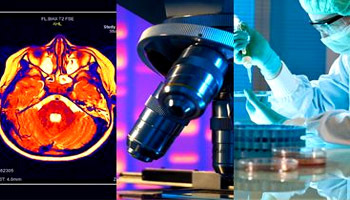 Recent breakthroughs in biomedical engineering include highly durable and functional artificial joints, bio–engineered blood vessels, medical informatics–enabled expert–system robotic surgical devices, and an array of medical imaging technologies such as ultrasound, magnetic resonance imaging and positron emission tomography. New breakthroughs in Biomaterials have resulted in artificial joints with much greater functionality. New understandings in Biomechanics and new breakthroughs in Biomaterials have resulted in artificial joints with much greater functionality and durability than earlier models. Like most biomedical engineering projects, the design and development of artificial joints involves the efforts of biomedical engineers from several sub specialties. The inquisitive nature and curiosity of man coupled with intellect and an urge to discover brings about such break-through advancements in the world of science daily that are enough to spell-bound man himself! While accomplishing the impossible and continuing the never ending quest, he has reached a point where he has begun to duplicate himself. Bioengineering better blood vessels In the recent operation, the bio–engineered blood vessel was implanted as part of a hemodialysis, the process of flushing toxins out of the body when the kidneys are unable to do so. In pre–clinical trials, Duke University&apos;s bioengineered blood vessel performed much better than either of these options, and it seems to be continuing to do so judging from the success of this operation. This breakthrough will help pave the way for bioengineering more complex organs. New imaging technique may help predict long-term impact of concussions Research in the biomedical sciences has generated a wealth of new discoveries that are improving our health, extending our lives and raising our standard of living. The last few decades have produced a number of breakthrough technologies in the field of diagnostic medical imaging systems. 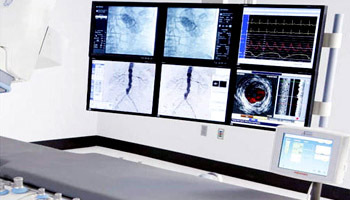 Biomedical engineers have been involved in the development of diagnostic imaging technologies including ultrasound, computer tomography, magnetic resonance imaging, single–photon emission computed tomography and positron emission tomography. 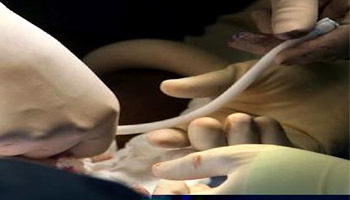 Refinements in ultrasound equipment and techniques such as improved Doppler, radial scanning, 3–D scanning and harmonic imaging have made sonography increasingly useful in a growing number of diagnostic applications. Thus, Biomedical technologies encompass a whole lot of technologies that are related to biotechnology and cell transplantation. It is believed that biomedical technologies will be the face of science in the coming decades.